When you delete a Helper, they are no longer listed in the List Helpers page, but their information and past shifts are still available. 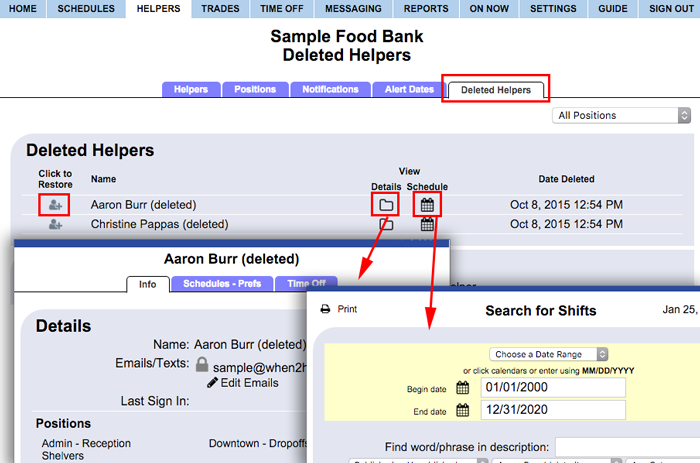 You can access them from the Helpers>Deleted Helpers page or you can run Reports or use the Search feature and their shift information will be included. Note that you cannot edit a deleted Helper's information, the deleted Helper must Restored first before their information can be edited.